Most of the time when Nate and I get to coordinate our outfits mommy gets left out. So it’s always fun when the whole family can get in on the matchy-matchy! 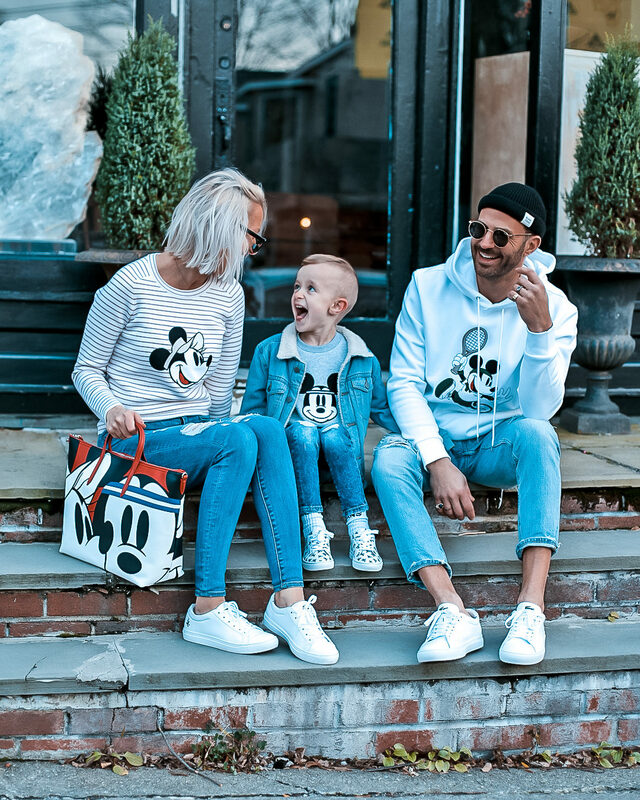 What better way to get to coordinate than to share your love for one of the most iconic characters ever…Mickey Mouse! It’s hard to believe that Mickey and the LACOSTE Croc have been around for 90 and 85 years, so it’s only fitting that these classic icons come together for a classically clean & fun capsule collection, available for the entire family! Nate and I scored matching striped polo’s where Mickey Mouse showed off his tennis skills. Nate looked too cute in his polo! He’s always been a fan of Mickey, so this was definitely a fun outfit to coordinate with him on. 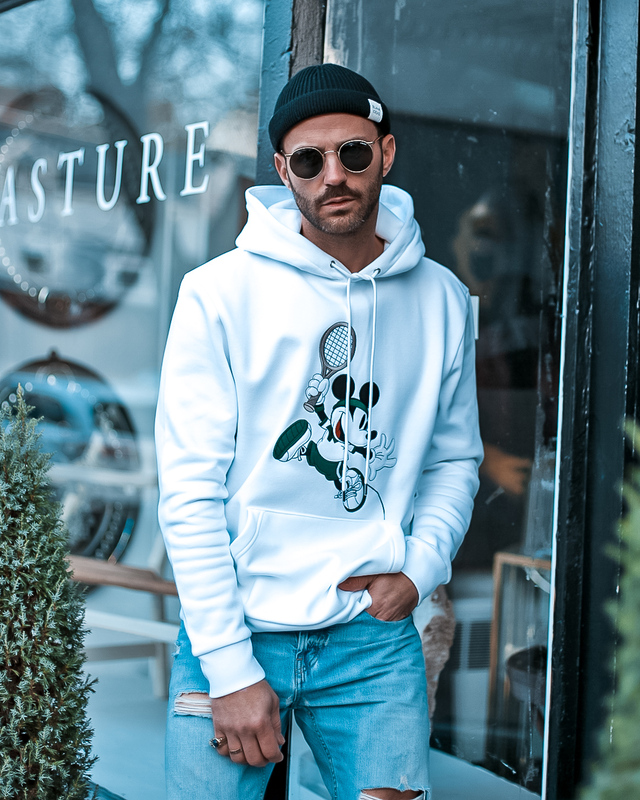 I liked the tennis Mickey Mouse so much, I had to go with the white hooded sweatshirt with the larger Mickey on the front. Nate went with the grey sweatshirt with the oversized Mickey head, and my wife went with the crew neck sweater with the oversized Minnie face. With all of the love for Mickey we couldn’t forget about Minnie, so it was fun to get wifey in on our coordinating looks & rep the Minnie! Of course hoodies and sweatshirts are going to be comfortable, but my wife, whose top was a sweater, couldn’t get over how comfortable it was. She said it was one of the nicest feeling sweaters she’d ever worn! I loved how all of these sweatshirts and sweaters had the detailed images on the front, but also had a blacked out version of the silhouette on the back. Seriously…too cute! 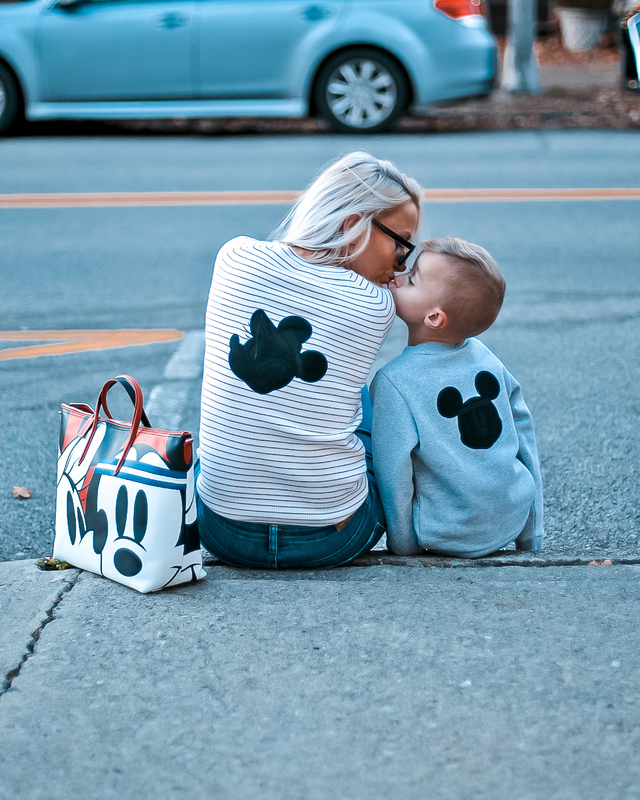 We definitely got some “aww how cute’s” when we were out and about in our Mickey gear! We all could not get enough of the LACOSTE Mickey trainers! Mine and wifey’s were white with just a touch of tennis Mickey on the right side of the shoe, but Nathan’s were Mickey’d out! Nate’s had the same silhouette but it completely covered his entire shoe. They’re seriously adorable! These clean, crisp low-top style trainers are very in right now, so the touch of Mickey really separates them from some of the other trainers on the market. The LACOSTE x Disney Holiday Collector Print Leather Tote that my wife was rockin’ is one of the coolest pieces in the collection. It just screams Mickey and Minnie Mouse and has a pop art feel to it. 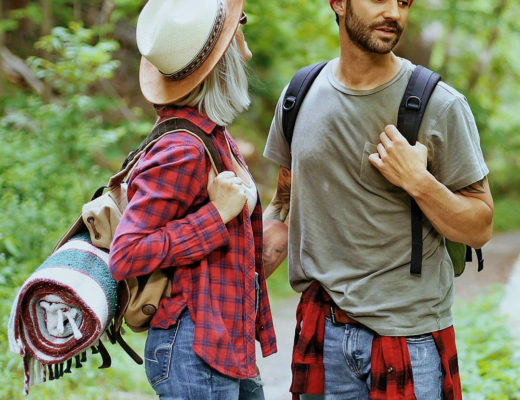 It has an oversized print, lots of color, and if perfect for when Sarina (wifey) is holding all mine and Nate’s things LOL. My mother-in-law, whose a Mickey Mouse fanatic, was completely in awe of all of our pieces and is currently trying to take over the bag from my wife! Haha. It was so fun walking down the street with all of us wearing matching pieces and hearing some of the reactions from people walking by and checking us out. I can’t think of another character that can capture the heart of so many generations and give you that same magical feeling throughout your whole life. 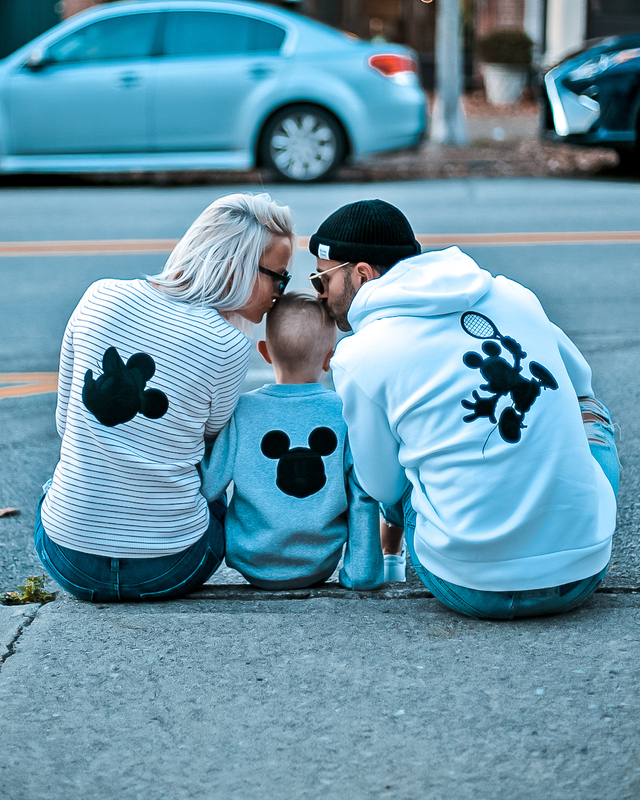 The love for Mickey just never leaves you. 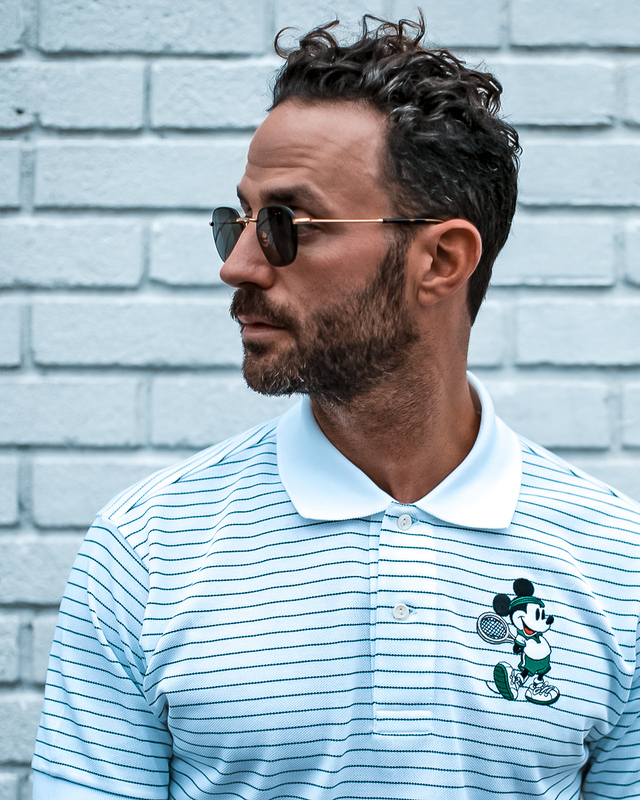 Check out the LACOSTE x Disney Collection that just launched in November! It’s classic & clean and allows the entire family to coordinate in a cool & timeless kind of way. Mickey, you definitely are the “True Original”! Got2B Fighting that Thinning Hair! 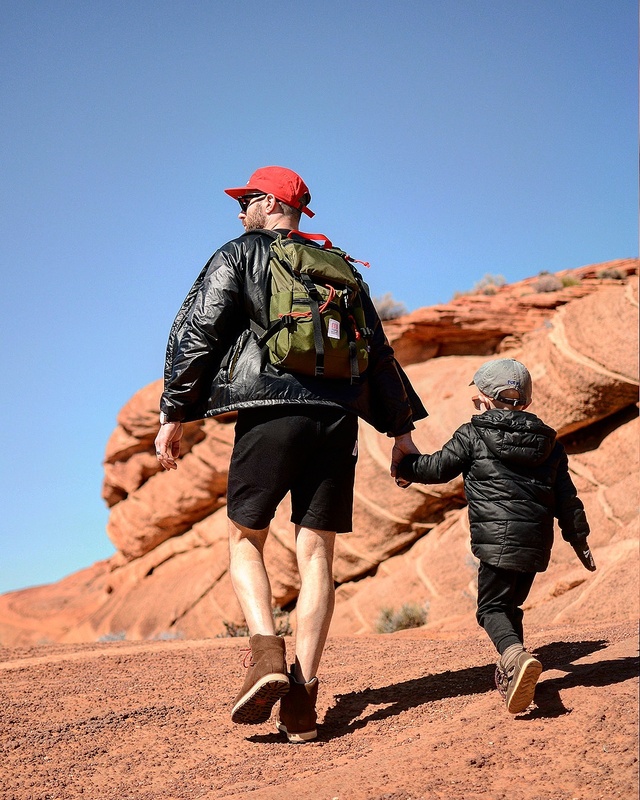 NY blogger (and electrician) with a focus on menswear, lifestyle, family and travel!